Meet Maifest Grillmeister John and let him show you how to make a staple of German cuisine that everyone knows and loves: Chicken Schnitzel! 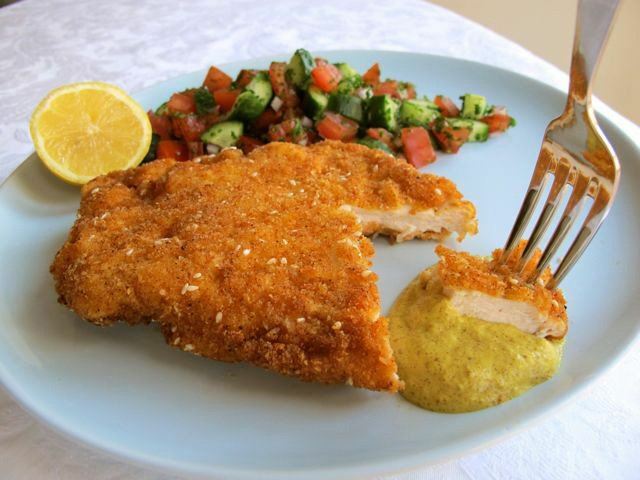 Hallmarks of a good Schnitzel include very thin meat and a thin crisp coating. While the Austrians insists that a proper "Wiener Schnitzel" has to be made from veal, Germans often use pork or chicken. Traditionally served with cranberry jam and warm potato salad, Schnitzel can also come with a simple bed of greens and a lemon for squeezing onto the meat just before eating. We will be making ours with roasted vegetables!